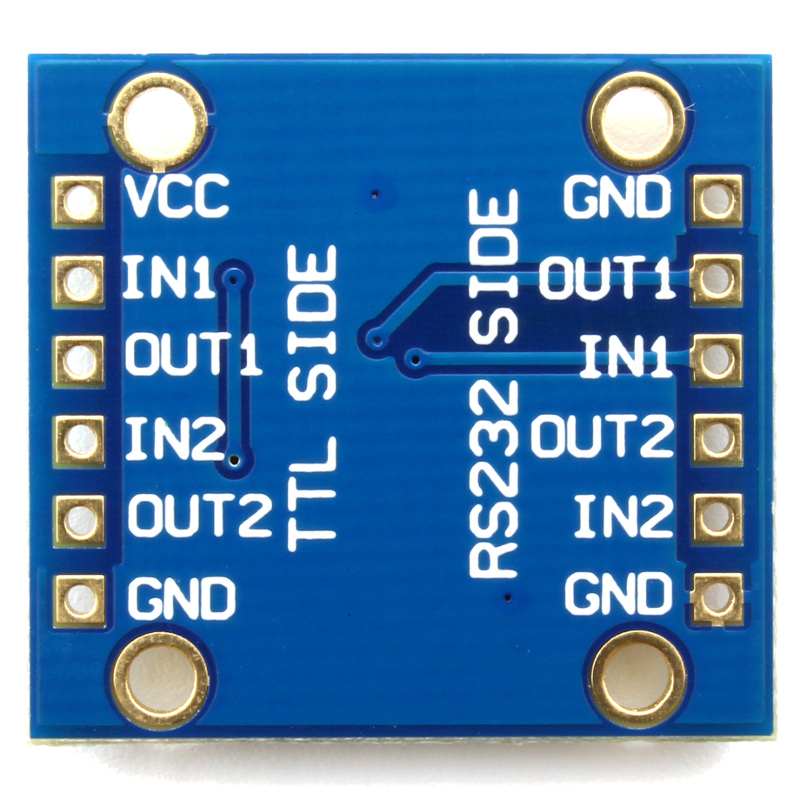 3V up to 5.5V TTL to full RS232 converter breakout board, featuring a STmicroelectronics ST3232B. 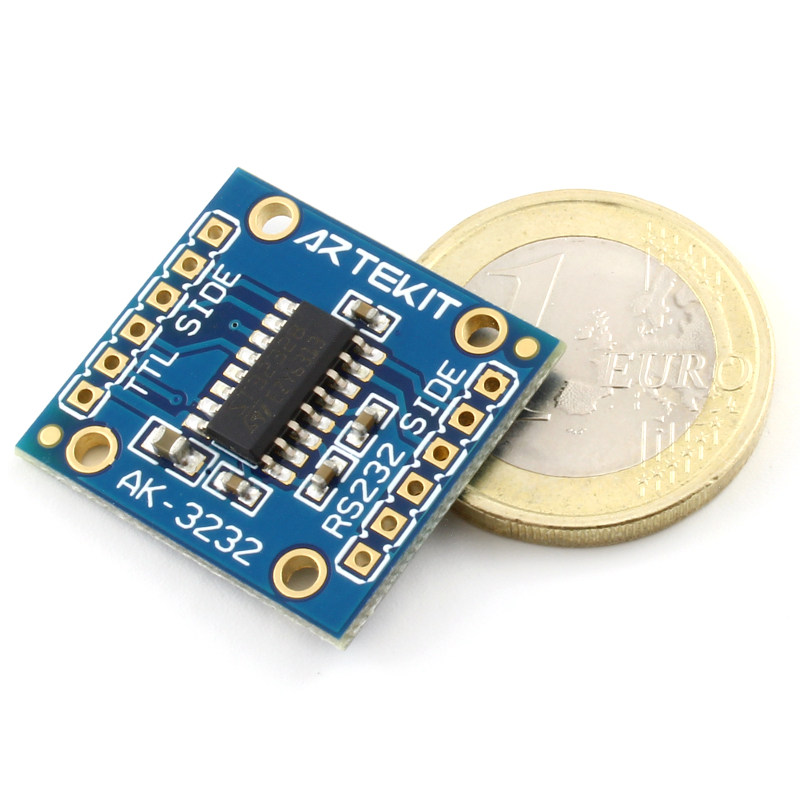 This board uses a STmicroelectronics ST3232B to convert TTL signals (from 3V up to 5.5V) into RS232 standard communication signals, allowing you to connect your microcontroller’s UART (like in any ARM, Atmel, PIC, etc.) 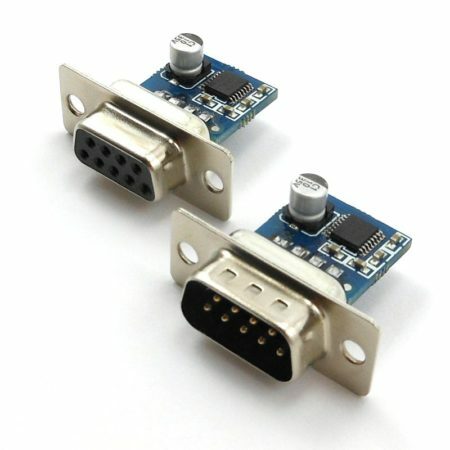 to your PC’s RS232 serial port (including USB-to-serial adapters like FTDI’s). 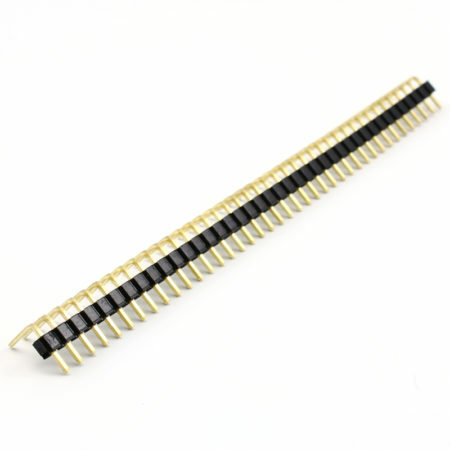 This is the version without the DB9 connector, so you can solder the connector of your preference. We also have a connector version of the TTL to RS232 converter. 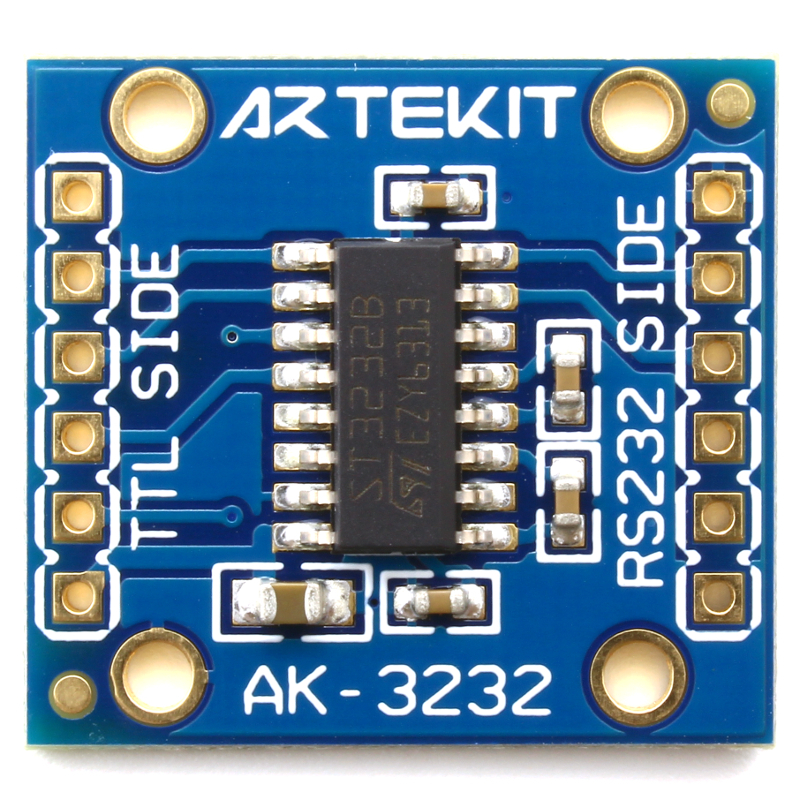 The board has two inputs and two outputs so it can drive a full RS232 (including CTS/RTS or DTR/DSR). 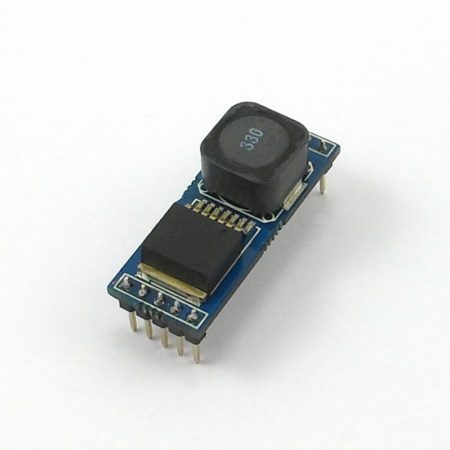 It has 0.1″ (2.54mm) spaced pins. 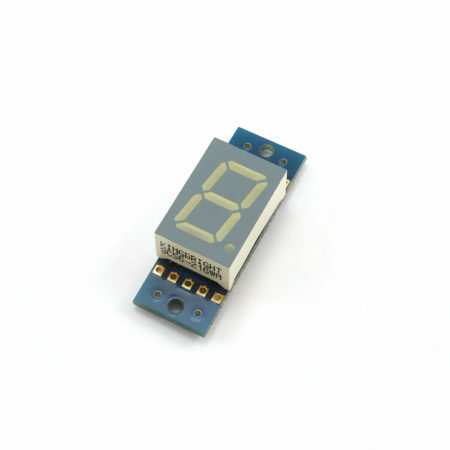 Also, there are four mounting holes for easy mounting. 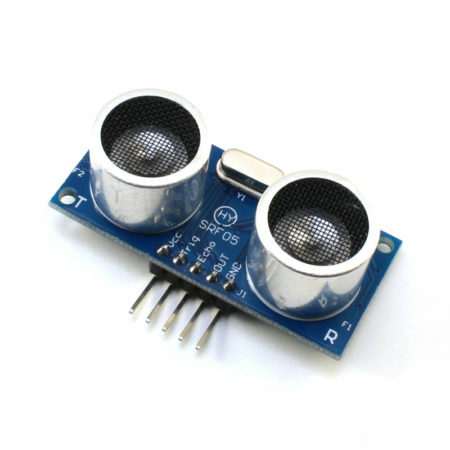 We have a usage guide that shows you how easy is to use this board. 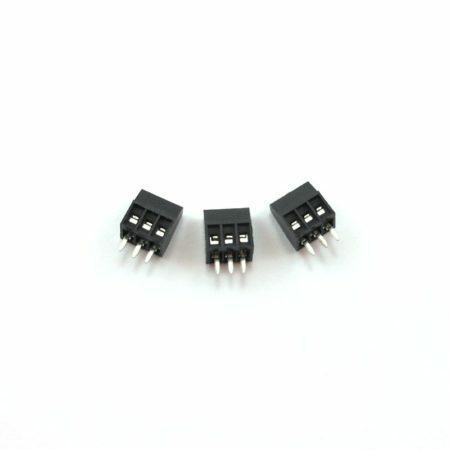 Input from 3V up to 5.5V. High speed (300 kbps minimum guaranteed). 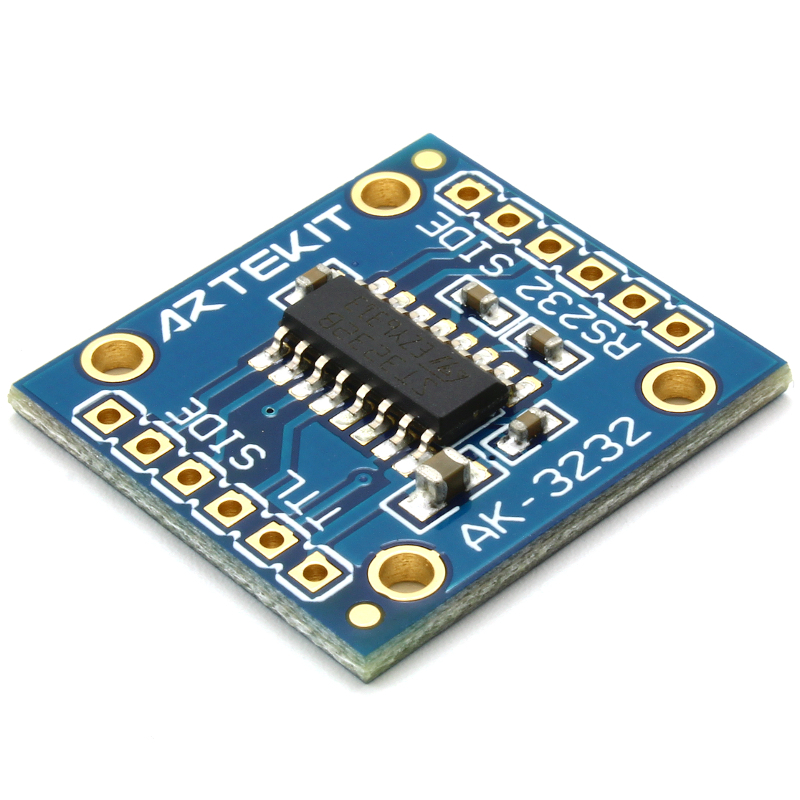 Works with any PC or Laptop (including USB-to-serial adapters).